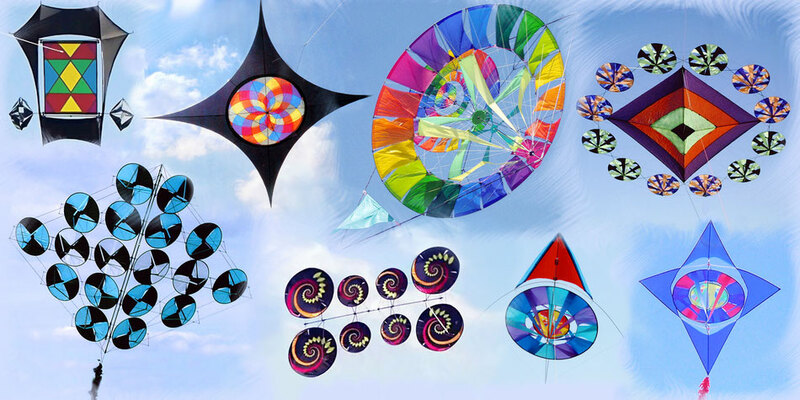 I build since about 25 years kites. At first stuntkites and then, after a few years, I started to interest in singleliner – at least if something is moving. The first of this kites consisted of rotating rings or disks in all possible (or impossible) constellations. And then I have build kites of transparent coloured foil with changing patterns. 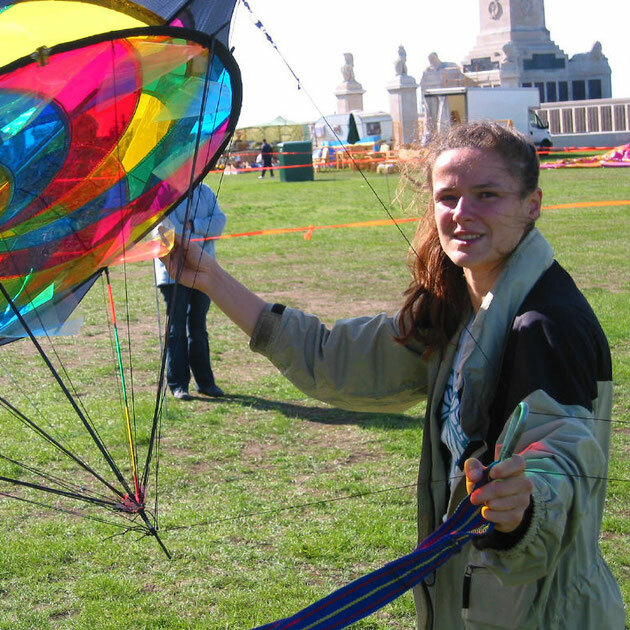 Many of my kites won first places on the German championships.